What is the single most important chart you are watching? For my chart I picked one that I used in the Weekly Macro Themes report a couple of months ago - basically it provides a fundamental backing to the whole concept of "reflation". What is it currently telling you? 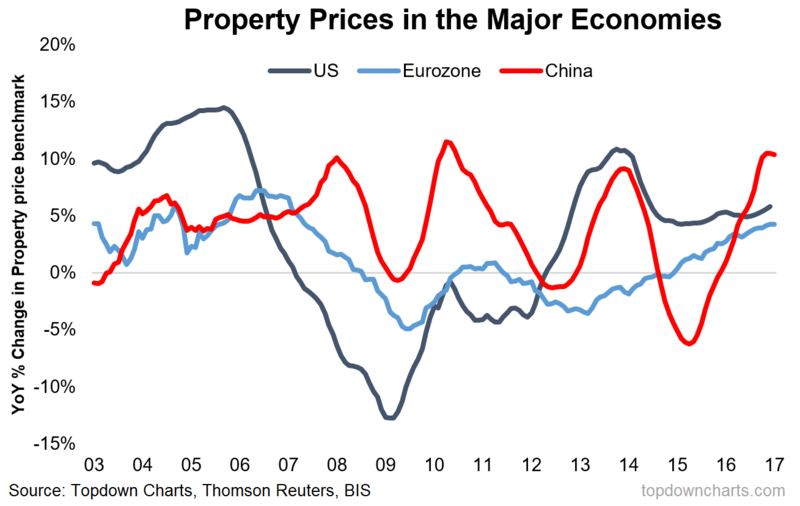 To me this particular chart stands out because it shows property prices growing at a solid pace across the major economies.